The dedicated electronic control board is designed and produced to write the flash program of RENESAS© microprocessors. 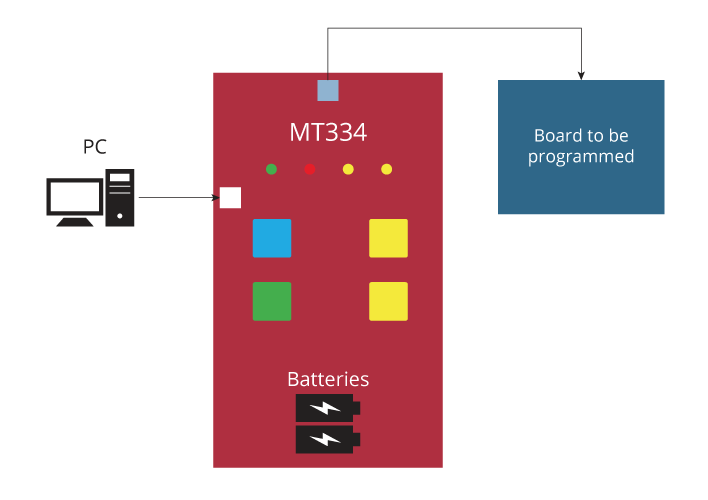 The ability to save up to 4 different firmware programs internally via a USB port, plus the battery power supply, makes the MT334 the ideal instrument for online updating or service updating of electronic control boards equipped with this microprocessor. The firmware is installed using the MT Programmer Pro program.